41% of the American workforce has over $75,000 socked away in a pension plan of some sort. If you’re one of those people, kudos to you! You’re being proactive in making sure that you’ll be able to enjoy some semblance of relaxation when retirement comes around. Here’s the bad news though… All the retirement money in the world isn’t going to help you get past the financial hardship that you face today. That is of course, unless you decide to pursue pension loans. The term “pension loan” can mean a couple of different things that carry the same basic outcome… Putting a lien on your pension to get your hands on cash now. Below, we talk all about different kinds of pension loans, who qualifies for them, how to borrow against your retirement without running into issues and more! How Can You Borrow Against Your Pension? Pension loans come in two basic forms. The first form is the most common and is when you simply withdraw from your pension ahead of its standard payout schedule. In that instance, you’re basically borrowing from yourself. Another form of pension loans is when a 3rd party lender facilitates your loan using your future pension payments as collateral. These loans are called “Pension Advance Loans”. Both forms of borrowing have lots of strings attached to them that we’ll talk you through in a moment. Why Do People Opt for Pension Loans? Pension loans are popular because of how accessible they are. After all, when you borrow against your pension, you’re borrowing against money that you’ve already earned. That simple reality makes the process of getting your hands on the money you need much faster than what a traditional loan might be able to facilitate. Can You Borrow Against Your Pension for Any Reason? If you’re borrowing from your retirement account directly, the IRS will allow you to do so without incurring any consequences so long as your retirement dollars are holed up in a 401k, 403b, 457 plan, Thrift Savings Plan, or a standard defined benefits pension plan. IRAs are exempt from retirement-backed loans so you’ll need to look into other borrowing options if portions of your retirement are sitting in a Simple, Traditional, or Roth IRA. If you’re looking to go the pension-advance loan route, borrowing terms will be dictated by your private lender. Generally speaking, so long as you’re able to prove that you receive regular pension payments, lenders will approve your loan. Are There Limits to How Much You Can Borrow? The IRS does have guidelines on how much you can borrow directly from your pension without incurring penalties. Since 2013, the IRS has allowed only $50,000 to be borrowed from a pension plan. If your total pension amount is lower than $50,000, you’re able to borrow up to 50% of your account balance or up to $10,000 (whichever is greater). If you’re borrowing through a 3rd party lender, the lump sum they’ll pay in exchange for your future pension payments will vary based on their policies and the amount that your pension pays out. As with all loans, there is fine print to read. Fortunately, borrowing from yourself carries very few catches. The IRS allows you 5-years to repay most pension loans. You can negotiate lengthier terms if the loan is being used to purchase a home. If you don’t pay back your loan within the designated time-frame, you’ll be taxed for the loan as if it was income and you will be levied an additional 10% penalty if you’re younger than 59 1/2. Catches for pension-advance loans can be a lot more sticky. As always, you’ll want to read all documentation given to you by lenders carefully to avoid hidden fees that could lead towards deeper financial hardship. If you can prove a serious financial hardship to the IRS, you can receive a “hardship distribution” instead of a loan. You do not have to pay back money that you withdraw from your pension as a hardship distribution. You will have to pay income tax on that money though (assuming your retirement money is in a pre-tax account). Typical circumstances that qualify for hardship distributions include funerals, illness, and foreclosure avoidance. So, Should You Consider Pension Loans? People pursue pension loans all the time and they’re instrumental in helping them get a leg up in life or keeping them from being affected too deeply by unforeseen circumstances. The big thing to watch out for here is to not lose sight of what your pension dollars are actually for. Your pension is meant to help you live when you’re no longer able to work. 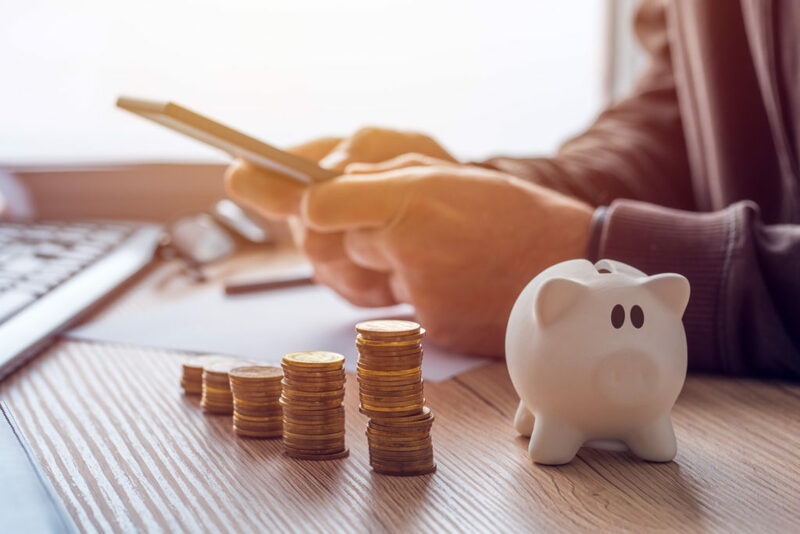 If you borrow from your pension overzealously and aren’t responsible about paying it back, not only are you likely to incur fees, but you’re also likely to run into serious problems down the road. Pension loans are a great way to make the most out of the money that you’ve earned and put away throughout your career. To get a pension loan, either contact the provider that harbors your pension dollars to request an advance or find a reputable lender to help facilitate your loan. No matter how you borrow against your pension, exercise caution and always understand the terms of your loan in full. If you have more questions about how to live your richest life without actually being rich, dive deeper into our finance-related content!